Clean, good location. Staf friendly. This is a great location for shopping and the metro, however the area around the hotel is very congested with mechanical shops and jam packed pavements so very difficult to walk around to get to shops and restaurants. It took well over 90mins for the taxi driver to find the hotel, even though I had the address for him. Granted it was close to midnight but being in Delhi close to midnight in a taxi was not the best feeling. The hotel is old, in need of renovation and noisy. The dogs outside at night were unbelievable. Fantastic stay. Hotel location is surely an advantage (shopping area). Good sweet store nearby. Hotel room is huge & clean. Hotel food is good as well. Large room, hotel was clean, East to find. The hotel was clean, easy to find and the simple breakfast was hot and tasty on a cold Delhi morning. Very comfortable and staff was very friendly and willing to help out in many ways including getting a auto and making sure the rates were right. The GM was there personally to make sure that we are attended to our needs. good manager (Mr. Madan pai). he is very helpfull. very close to main shopping area. Roof top breakfast was nice. Friendly staff. My. Madan pai( Manager) helped a lot for me. he arranged local site seeing with reasonable price. the hotel has a friendly staff. The roof top restaurant breakfast was nice one.Karol bagh is very close . I will stay here again. It was my third time in this hotel and I will come back. Highly recommended for its friendly staff and the precious help of the manager. Very good location next to the subway. Roof top restaurant definitely a plus. I arrived here around midnight after a long day travelling to Agra and back. I was put into the sister hotel round the corner in a room nothing like what I had booked. The room was incredibly noisy, right next to reception, there were stains on the sheets and feral dogs barking constantly and foraging in the rubbish on the litter strewn streets. As a lone female I felt very unsafe and uncomfortable and ended up calling a taxi a few minutes after I had checked in to move hotels. I have no idea why this hotel received any good reviews. I would urge you, especially as a relatively young female traveler, not to stay here. Beautiful inside courtyard, home cooked meals! 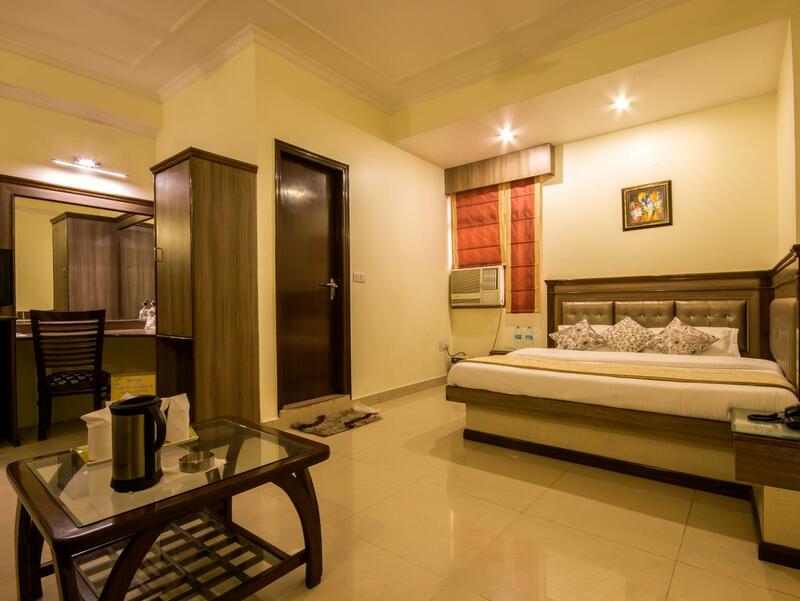 Simple double room with fan, simple bathroom and generally very clean for Indian standards! 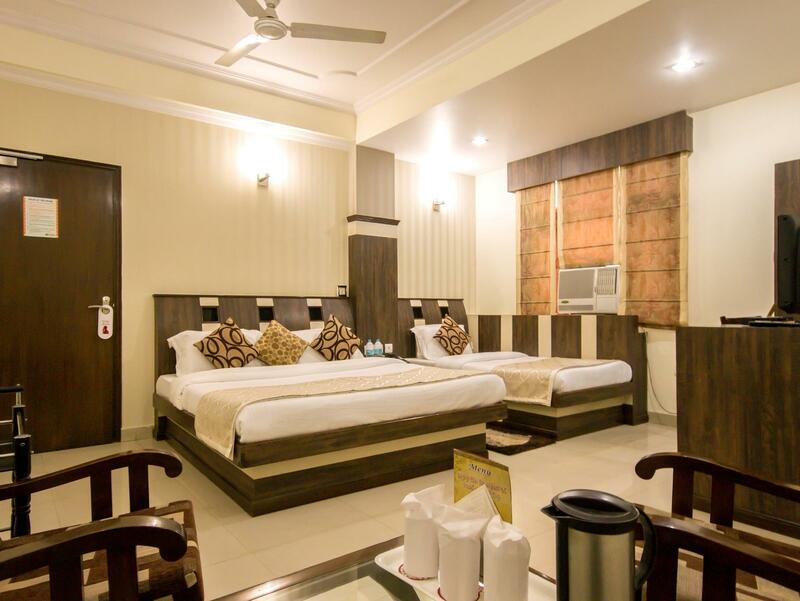 The hotel is located a little outside of Jodhpur but you can easily reach everywhere with taxis or rick shaws. Hotel owners were very friendly and assisted us (a group of friends of about 10) with many things but were not pushy at all. Definitely would stay again here. Satyed 4 night at the Grand park Inn. 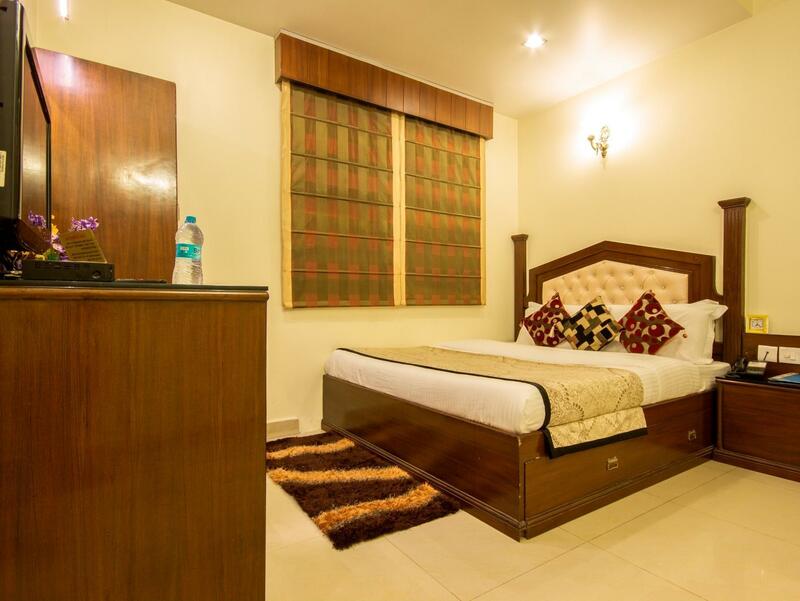 Good location , close to the metro and Dehli railway station. Staff were friendly and helpful, beds are a little hard and the road in front is a little noisy. Left our bags in the room while we went to Agra and there was no problems with our belongings left in the room.Hotel is safe as staff sleep in the lobby . We stayed there for 2 nights and 3 days and were most satisfied with the quality of the rooms, especially cleanliness. It was a short walk to the metro. One of the rooms didnt have cooling to my satisfaction and I requested a change after 3 hours, well after I had used the bathrooms and the bed. The staff changed it very promptly. I must say I was pleasantly surprised. The only issue was that eating places were a short walk away. Food served in the room was pretty awesome but having more places to eat nearby helps. Will stay there again! A nice hotel. The rooms were clean. The toilets were clean too. The staff were friendly and helpful. The roof top restaurant was not up to the mark, but the room service was excellent. The location is the only negative point about the hotel. The location is in a congested locality. Altogether a nice place to stay with the family. front desk - highly informative, helpful, pleasant, hospitable and good rates for FOREX. Breakfast takes more than 30minutes to be served. Airconds a little noisy.